To give you context and a deeper appreciation for the symphony, I wanted this article to be more than a bland list of song titles and composers slated for the upcoming season. Here’s a taste of what’s to come: 11 interesting facts you’ll have learned about the Austin Symphony Orchestra by its 108th season finale. Celebrating its 108th season, the Austin Symphony Orchestra is the oldest performing arts group in Austin. If that’s not enough, you’ll be happy to know it is also the oldest, continuously-performing orchestra in all of Texas (and that means something in a state this large). Maestro Peter Bay is Music Director and Conductor of the Austin Symphony Orchestra. He started working with the symphony in 1998, and the upcoming season will mark 21 years with the orchestra. 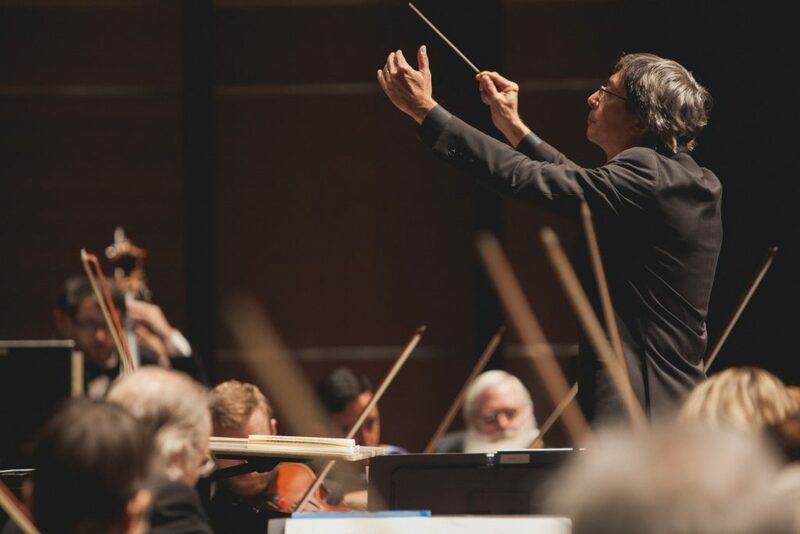 Maestro Peter Bay will be entering his 21st season with the Austin Symphony Orchestra. He is the primary conductor for symphony performances with the breathtaking Ballet Austin and has also worked with the Austin Opera. Throughout his career, Bay has appeared with 75 different orchestras. 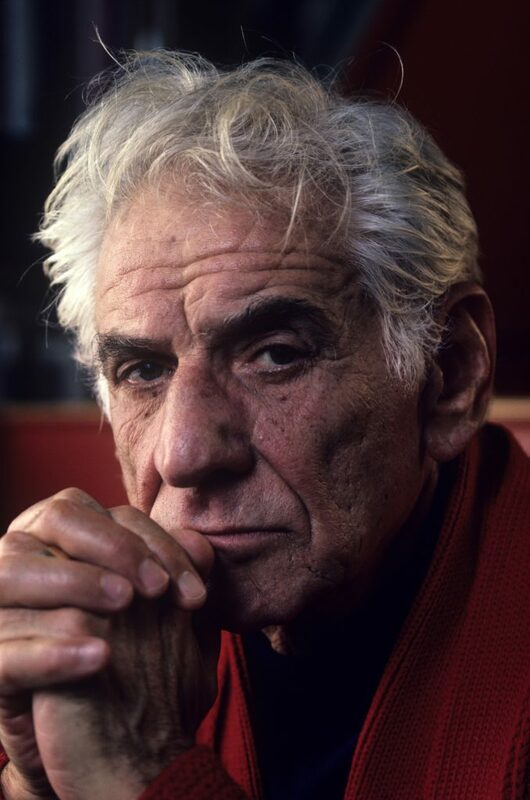 The second Masterworks show of the season will celebrate what would’ve been Leonard Bernstein’s 100th birthday! Bernstein was a composer, conductor, pianist, humanitarian, and inspiration to many in the world of classical music. He was one of the first U.S. born and raised conductors to receive world acclaim. Bernstein’s connection to the Austin Symphony Orchestra? He was mentor to Maestro Peter Bay. Talk about having a legendary mentor. Pianist Leon Fleisher will perform with the Austin Symphony Orchestra at the fourth Masterworks show. This world-renowned American pianist and conductor was struck with a neurological affliction at age 36 that rendered two fingers on his right hand immobile. Now 89, Fleisher has never given up his art. While the Austin Symphony Orchestra is all about amazing musical performances, members of the organization also take the time to reach out to today’s youth through education programs. Considering they’ve reached over 60,000 children through these programs, I’d say they’re doing a pretty great job. Check out the sixth show in the Masterworks series to celebrate some ridiculously talented female composers. Guest pianist Michelle Schumann and string-band Time for Three will be performing. There’s another reason why this performance will be so special. Charles Yang, member of Time for Three, is both a local YouTube sensation and a son to one of the women in the Austin Symphony Orchestra. In fact, he began his violin studies with her. Like mother, like son. Don’t forget to check out string lessons with Violins Etc. before each Masterworks show. Who knows? Maybe one day you’ll find yourself as widely-known as guest violinist William Hagen. If you’re obsessed with the violin or any other string instrument like I am, then you can stop in the lobby before each Masterworks performance to learn how to play string instruments with Violins Etc. 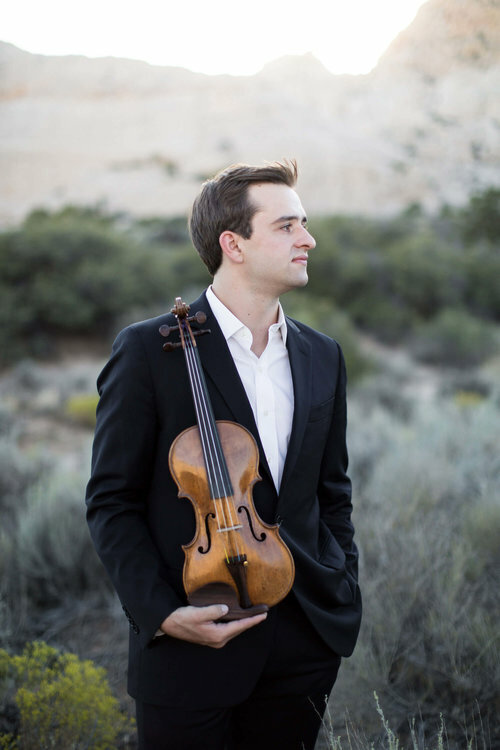 Speaking of beautiful string instruments, guest violinist William Hagen will be playing on the 1735 “Sennhauser” Guarneri del Gesù, on generous loan from the Stradivari Society of Chicago. Chorus Austin, one of the oldest continuously-performing music organizations in Austin, will join the Austin Symphony for its season finale, bringing Shakespeare’s “Romeo and Juliet” and “Henry V” to life through song. Sounds like there’s no family feuds getting in the way of these performances. Revel in your favorite musicals during the 108th season of the Austin Symphony Orchestra. 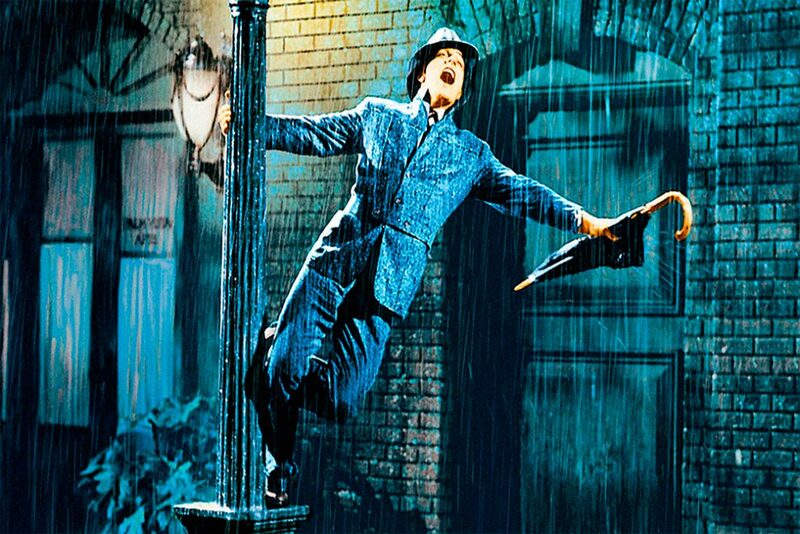 “Singin’ In the Rain” and “Wizard of Oz” will both play, with the orchestra accompanying the films. 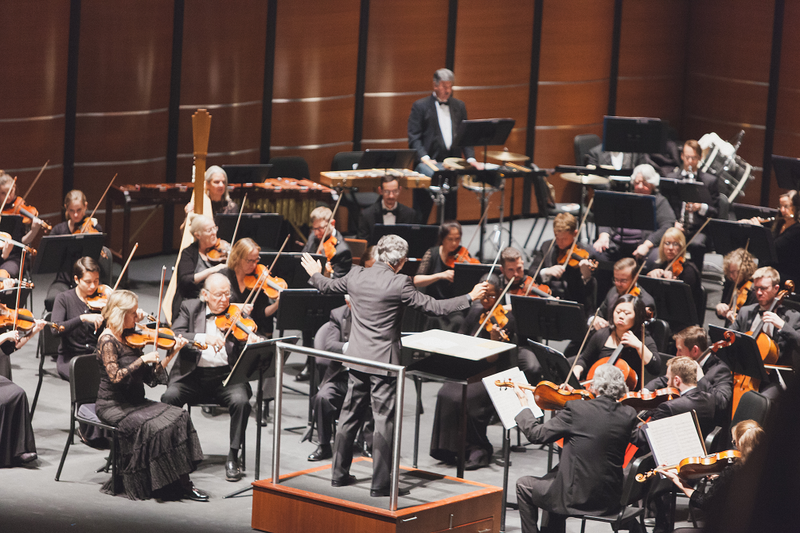 The Austin Symphony Orchestra knows Austin has its fair share of musical lovers. That’s why the group will be screening not one, but two films, for its Pops series. In this series, the orchestra play the score live! Watch “The Wizard of Oz” and “Singin’ in the Rain,” and get ready to sing to your heart’s delight. On a budget? Half of the season’s concerts will be free, so you can enjoy a musical performance and visit your favorite local food truck, without having to choose which one you want more. If you’re interested in learning more about the shows next season, check out the Austin Symphony Orchestra website. Which performances are you dying to see during the Austin Symphony Orchestra’s upcoming season?